If simplicity and richness impresses you, then Hotel Saheli Palace is the ideal accommodation for you in city of lakes, Udaipur. The hotel is located in heart of the city and is well connected to business hubs, markets and tourists spots and therefore is an ideal choice for both business as well as leisure travelers. 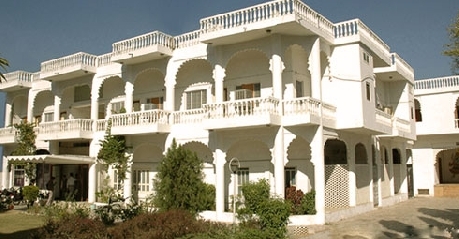 Hotel Saheli Palace offers three room choices i.e. 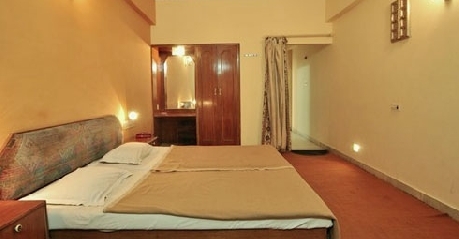 Air cooled rooms, Deluxe rooms and Super Deluxe rooms, which are equipped with best in class room facilities to serve patrons in best manner possible. The hotel also boasts of an in house restaurant that takes care of culinary needs of the clients. As part of its motto to serve its clients the best, the hotel offers several facilities and services. Some of the major among them include travel assistance desk, twenty four hour room service, postal service, same day laundry service, car rental service, doctor on call service, money exchange facility and many others. In addition to this, there is a conference hall as well as beautiful lawn that can be booked for corporate business functions and social events. 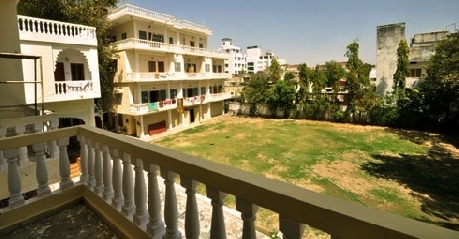 Saheli Palace also organizes regular live performance and programs including puppet shows to keep its patrons engaged and entertained. 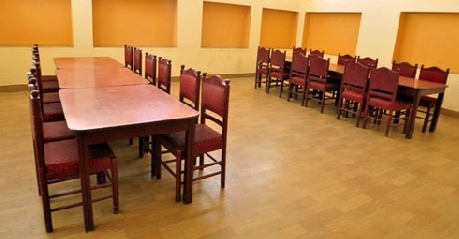 The air cooled rooms are simple rooms that are aimed at providing comfortable yet affordable staying option to clients. In line with the overall look of the hotel, these rooms are designed to with prime focus on homely feel and they surely deliver on that front. 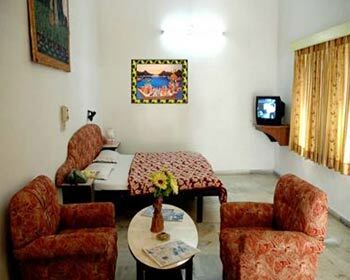 The rooms are fitted with best in class room amenities such as running hot and cold water, music, cable television and telephone connection. Deluxe Rooms are more spacious, comfortable and luxurious than the air cooled rooms. The Deluxe rooms reflect certain lavish charm that is makes the patrons feel special. Despite the unique interior design, the room doesn’t lose its homely charm and that is the most impressive part about the Deluxe rooms. 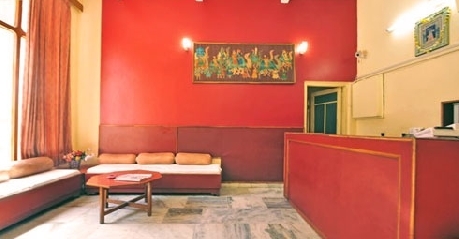 Patrons can find amenities such as color television, air conditioning with climate control, hot and cold running water, music and telephone connection in these rooms. 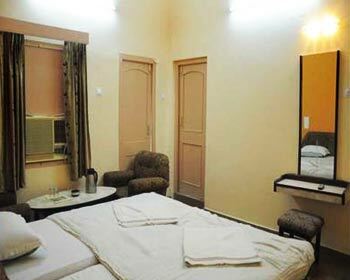 Super Deluxe Rooms are the finest accommodation option available at Hotel Saheli Palace. These palatial rooms are designed to give a very rich and luxurious feel to the guests. The décor of the room highlights the simplicity which adds to the overall visual appeal of the room. Equipped with finest in room features and conveniences such as air conditioning with climate control, music, telephone line, hot and cold running water and color television with premium channels; these rooms are sure to take care of any and every need of clients. The simple yet rich visual presentation of the Deluxe rooms has won hearts of both local as well as foreign tourists. well furnished rooms that are spacious and cozy. You can choose from deluxe air-conditioned and standard air- cooled rooms. 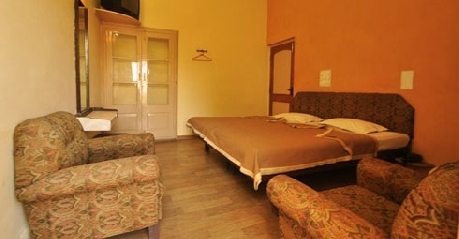 The rooms are equipped with attached bath, running hot and cold water, CTV, music, telephone and much more. 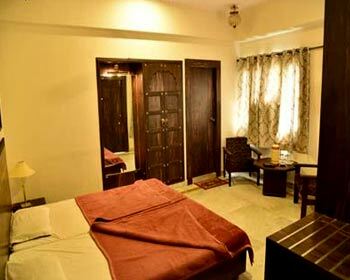 The rooms are such that it will offer you a cozy place to rest after a hectic day of fun and enjoyment. If fine food, quality service and hygienic environment are your priorities; then the in house restaurant at Hotel Saheli Palace will surely impress you. The restaurant serves an array of delicacies from numerous cuisines that are specially chosen. The Indian and Continental dishes served at this restaurant are very popular among patrons. The main USP of this restaurant is its simple and homely ambiance and nature, which reflects in the flavor and quality of the food as well. Guests are sure to feel right at home dinning here.